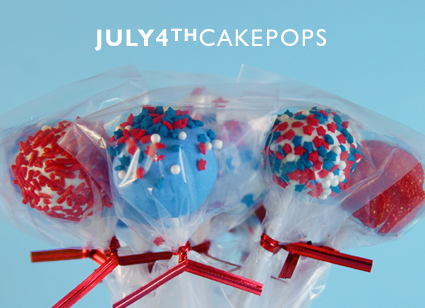 This year, we added a new dessert to our 4th of July festivities: cake pops! 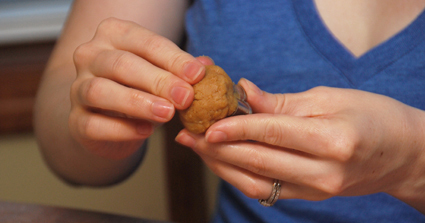 Having attempted these once before, I invited a group of friends over to learn more about making cake pops together. Many lessons were learned. Of course I must pay homage to THE cake pop original, Bakerella. Her work is inspirational to say the least. You can learn all about her cake pops at Bakerella.com. Each invitee was asked to bring their own main ingredients. 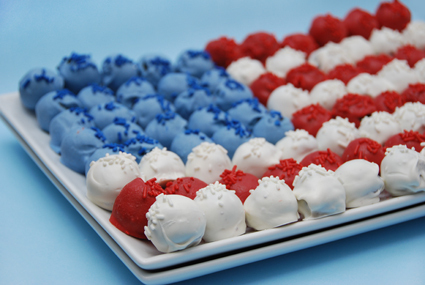 When the cake pops were done, everyone was welcome to take home their creations and share them at their own 4th of July festivities. What are cake pops made of you might ask? 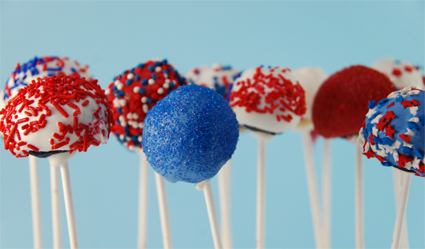 Cake pops are made from baked cake and frosting all mashed together until you get a dense, shapable dough that can be formed on a stick and dipped in chocolate. The variety of flavors are as limitless as your imagination. Mine were made of Cherry-Chip cake and a tub of vanilla frosting. Others did chocolate and chocolate, and others yet did all vanilla. 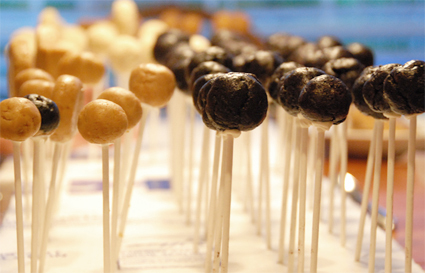 You can even make cake pops from well-ground cookies and cream cheese. Our group’s favorite was Oreos. A few girls used Nutter Butters. They all tasted scrumptious! - The ‘dough’ MUST be chilled or things will fall apart quickly. - To hold the cake on the stick, dip it in chocolate before attaching the cake. 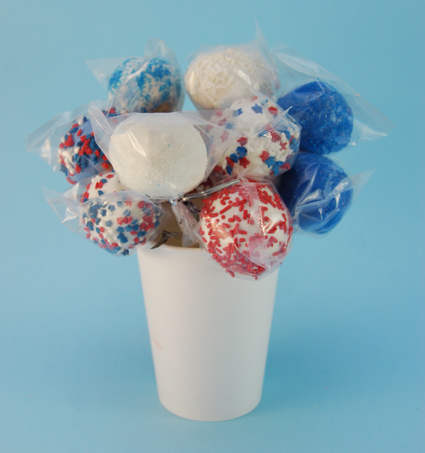 - Make space to refrigerate and chill your cake pops as you work with them. I attempted to make Bakerella’s cupcake-shaped pops. These were easier than I expected. The dough was shaped using small cookie cutters and pressing the dough with my hands. 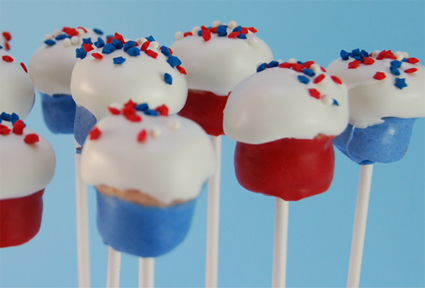 I dipped the bottoms first, then attached them to a lollipop stick. Once cooled, I dipped the white tops and gave them a sprinkle. 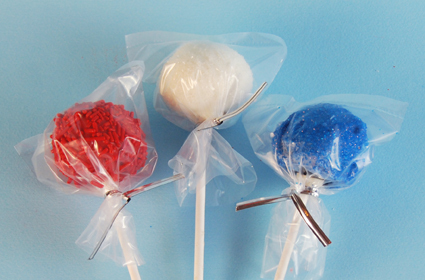 Not all cake pops have to be displayed on a stick! These were rolled and covered in chocolate to be eaten like truffles. 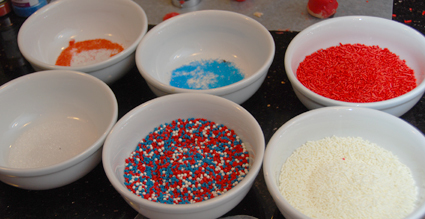 It made for a very patriotic and colorful display. Cake pops from the crew! 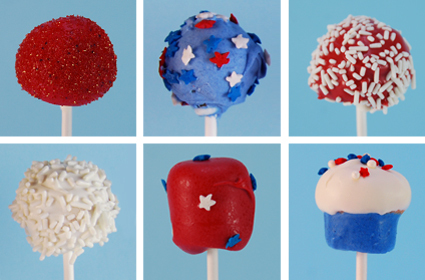 Every cake pop turned out with its own personality. It was really fun to see how each person made them a little differently. Here are some shots of what the girls made at the party. It was a great success! Wow! Great job. And beautiful pictures, also!